Happy Friday folks! I hope the weekend will be relaxing and fun for you. 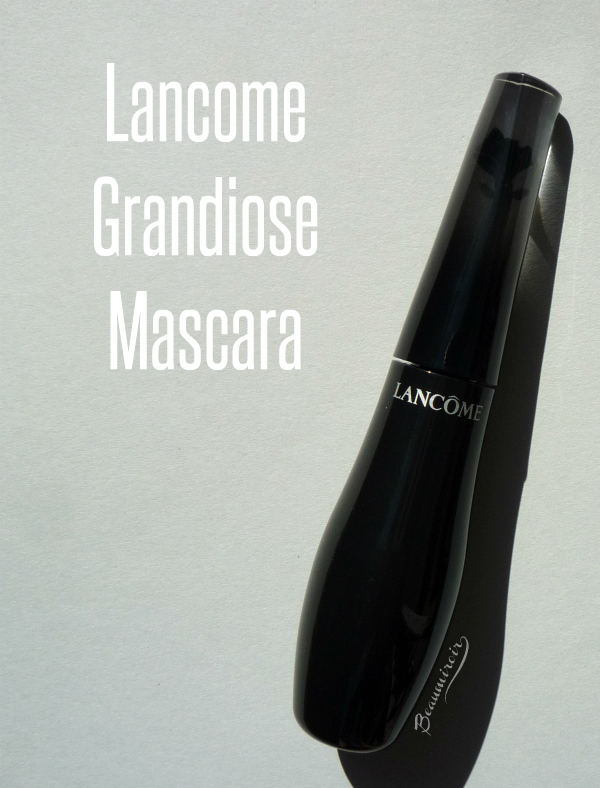 Today for our weekly French beauty fix, we'll talk about Lancôme's unusually shaped mascara, Grandiôse. 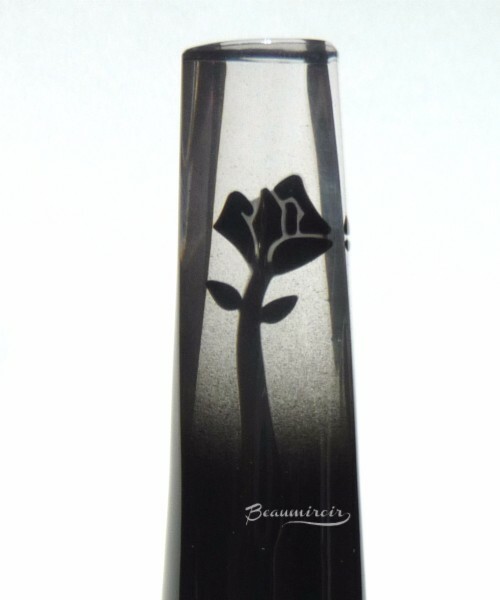 Grandiôse comes in a stunning tube: the shiny black bottom half, where the reservoir is, has an oblong shape that widens near the middle, while the top becomes transparent to reveal a black rose. This rose isn't just a print, it's a 3-D rose embedded in the transparent plastic of the cap. When you open the tube, the wand appears to be the continuation of the rose stem. Incredibly elegant details here, who knew mascara tubes could look so fancy! 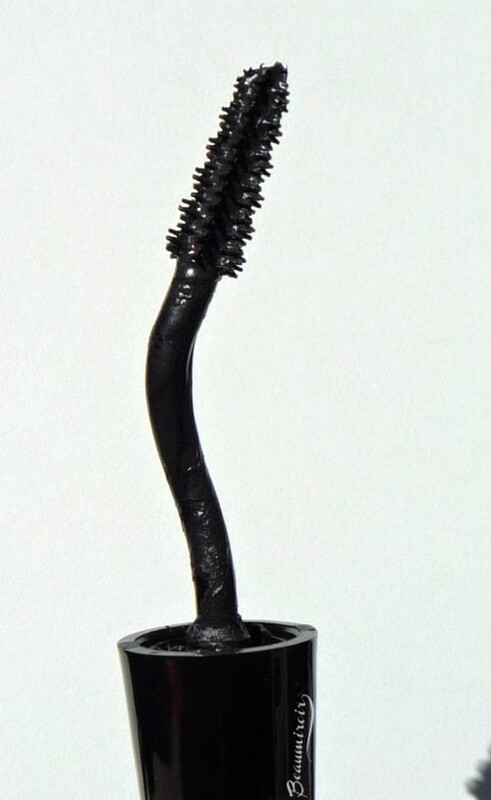 The wand itself is what makes this mascara so unique. It's bent, and I don't mean simply angled. It's curved in different places, and it almost seems to be spiraling out of the top. According to Lancôme, this unconventional shape called "swan-neck" is supposed to "work with the natural contours of the face" and allow you to easily reach all lashes for a "wide-angle fan effect". 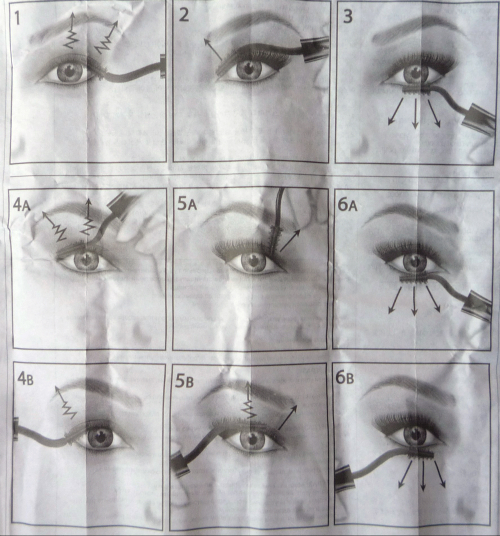 Lancôme has very detailed tips included in the box to help you learn how to use this innovative wand shape. They suggest holding the wand with the curve facing down for the outer corner, and rotate it to have the curve facing up in the inner corner. They even have 2 different techniques explained for the eye opposite to your dominant hand, depending if you go over your nose or reach from the outer corner with your arm across your body. Their base technique works well and that's how I started. Now that I feel more confident with this wand, I use it in pretty much all directions while applying. I feel like I have a lot of control, and I can get at the lashes from different angles depending on how I decide to hold the wand. 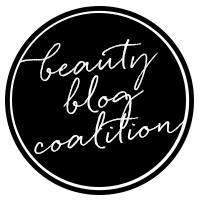 The brush has short plastic bristles of different lengths that grab the lashes really well and coat them fairly evenly. Lancôme says that this brush shape is inspired by monoi flowers... but I really don't see it! The formula is the perfect consistency: fluid but not too runny, and not so thick that it clumps. I've had this mascara for a long time now, and it hasn't dried out or gotten gooey at all. 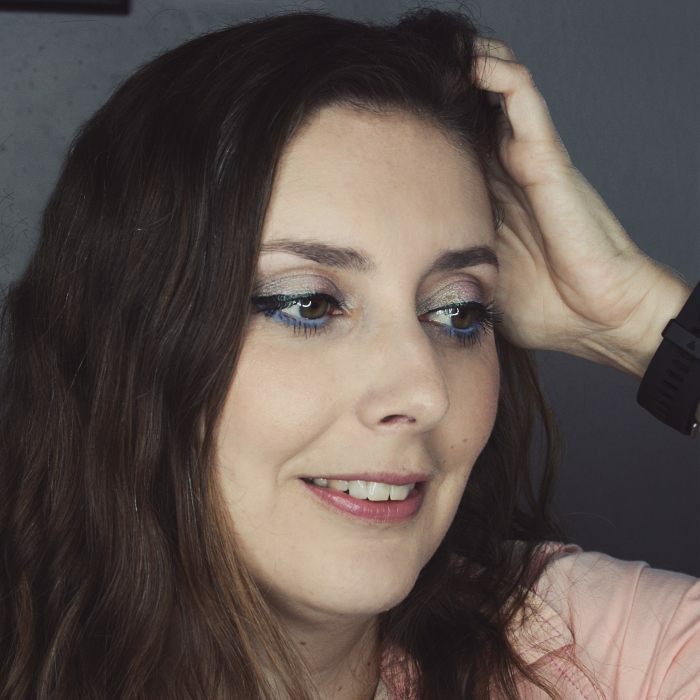 I really like how it looks on my lashes: it defines, lengthens and keeps the curl really well, and the color is a deep black that enhances my eyes. 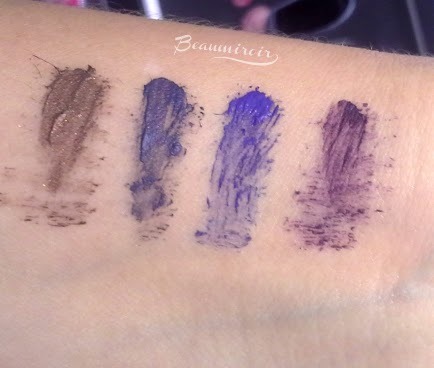 By the way, this is the original shade, 01 Noir Mirifique, but Lancôme launched colorful versions of Grandiôse this summer! Curling is my number one priority with mascaras because my lashes are naturally straight. Grandiôse delivers in that department: I do need to use an eyelash curler before applying, but then it holds the curl all day. I don't want more volume, but if you do, just layer! With 2 coats, the volume starts to build nicely. It dries down relatively fast (no black lines on my glasses) and leaves my lashes bendable rather than hard. 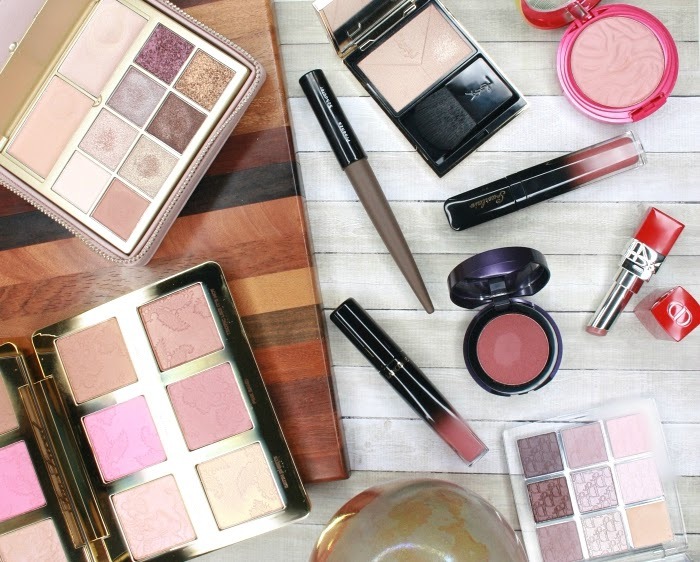 On me Grandiôse lasts all day looking perfectly fresh, without smudging or flaking. While not waterproof, it can be a little hard to take off and you need a good makeup remover - something oil-based will make removal much faster and easier. Overall: Grandiôse is one of my favorite mascaras. It delivers the promised "wide-angle fan effect" by providing good length and holding curl really well. 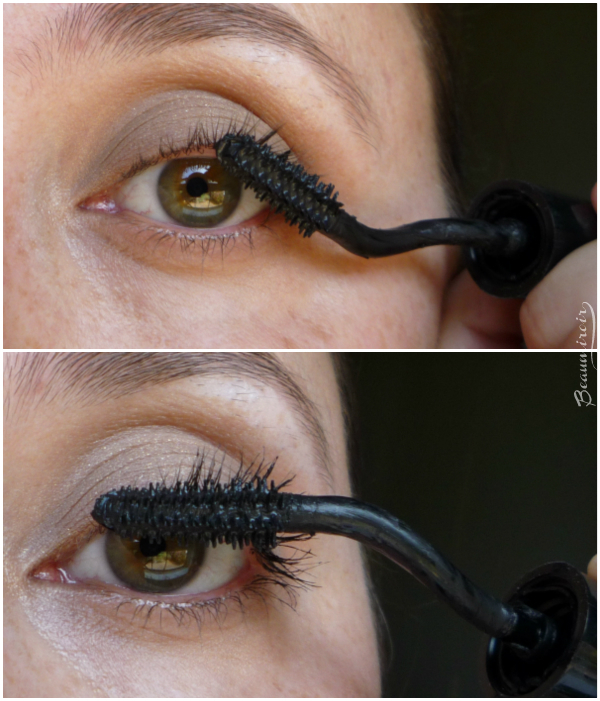 In fact, it's one of the best high-end mascaras in terms of curl holding in my experience! As for the "swan-neck" wand, it's not just a cool gimmick, it really helps me with application. UPDATE 12/7/2017: on sale this week at Sephora for $19, that is such a deal!